The Premier responding to a question by Joint Opposition (JO) Parliamentary Group Leader Dinesh Gunawardena said in Parliament yesterday that the JO is free to hold its ‘Janabalaya Kolambata’ protest in a manner that did not disturb the day to day work of the people. “Tomorrow (5) is not a public holiday. A large number of students and employees are coming to Colombo. Public transport should not be disrupted. That is the only concern that we have raised,” he noted. “Anybody can come to the city and go back.There is no prohibition.The bar and tavern owners have already kept hopes for a day full of business to earn a lump sum. Thanks to the social freedom that we have established the JO can hold its protest tomorrow. Are you now trying to find excuses for a low turn up of people for the protest? Don’t try to put that blame on the Government and me,” he told the JO. “Now there is media freedom and no journalist will suffer the fate of Pradeep Ekneligoda, Lasantha Wickrematunge, Keith Noyahr or Upali Tennakoon, but despite that, I am being criticised all the time. If you have any problem you can file a fundamental rights petition in the Supreme Court,” he responded. MP Dinesh Gunawardena raising a question under Standing Order 27 (2), asked as to why the private bookings of CTB and private buses have been cancelled for a week from September 1. He also expressed his doubts that the Colombo Municipal Council was preparing to cancel the JOs’ reservations of the public grounds violating the fundamental right to assemble peacefully. 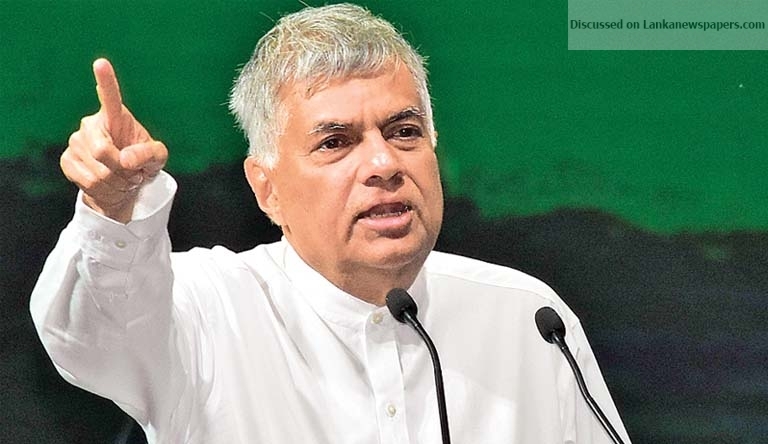 The PM said public transport is handled by ten Authorities and out of that, nine authorities belong to the Provincial Councils. “We, in the Government, only have control of one Authority. The JO has to settle their issues with the provincial authorities,” the PM replied.